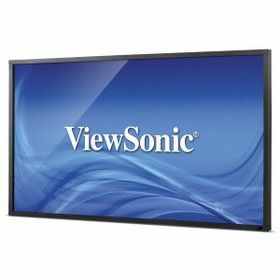 The What: ViewSonic Corp. is launching its new line of commercial LED displays, the CDP series, at Digital Signage Expo this week. Designed with a slim bezel, LED energy saving panel technology and connectivity options, the CDP series is suitable for multi-display installations and video walls in retail, hospitality, corporate, government and education environments. Why This Matters: "Today's digital signage industry is tasked with keeping pace with market demand for the newest, up-to-date display technology," said Gene Ornstead, director of product marketing, ViewSonic. "The CDP series is delivering improved functionality and performance for always-on public display advertisements, durable menu boards and complex video walls."